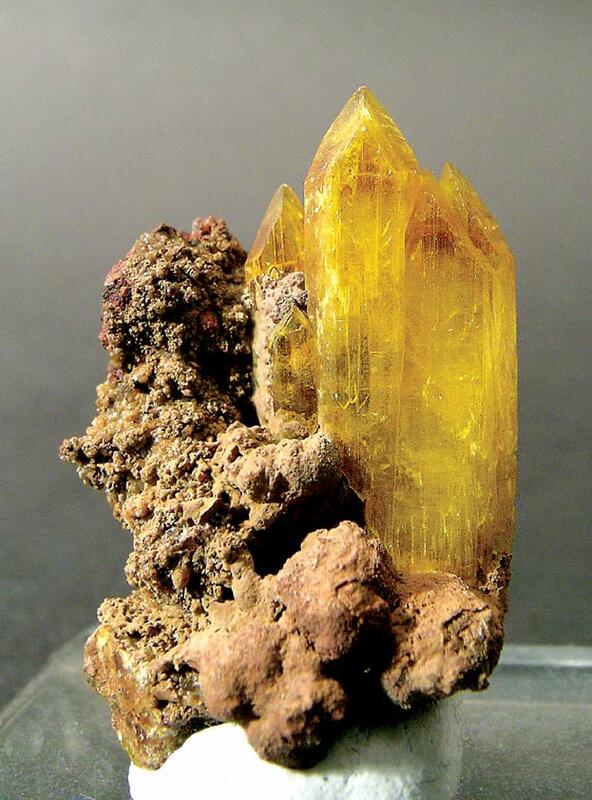 Comments: Prismatic crystal of yellow legrandite on a gossanous matrix. Location: Mina Ojuela, Mapimi, Durango, Mexico. Scale: 2.5 x 1.7 x 1.4 cm.